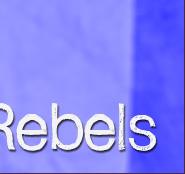 Rebel Entertainment was born in 1990 under the original name of Half Fast Productions. It was a name Nickelodeon did not approve of but hey, Rebel Entertainment is 'good enough' for us. The Rebels produced an adult animation pilot for the Discovery Channel in 2000, originally titled Ebb & Flo of the Universe. It aired as segment pieces called Mr. Chi Chi's Guide to the Universe, but unfortunately, it was never picked up as a series. They are currently working on another pilot. Still in his teens, Benny Hester's first pop/rock self titled album, "Benny" was readied for released in 1972. Although the warehouse storing it mysteriously burned down and the album was never released to the general market or radio, he gained valuable experience working with industry veterans like Ron Tutt, James Burton, Joe Osborn, Larry Mahoberac, and producer Brent Maher. He also learned from sitting behind the console and watching sound engineer and VMI Record president Bill Porter mix the live concerts each night for Elvis Presely. And thanks to Bill, that's where Benny's band for his first album came from. Some of those recordings made it to the "black market" and discount bins all over the country. In 1978 Benny recorded "Benny Hester", his debut album on Sparrow Records. This proved to be a ground breaking recording on the CCM music scene. For the first time ever traditional CCM radio stations began to take the rock sound seriously. The single, "Jesus Came Into My Life", was quickly embraced by CCM radio. Benny's next album, "Nobody Knows Me Like You", produced by Michael Omartian, is considered a classic. The title song became one of the biggest selling of all time. In 1981, the single "Nobody Knows Me Like You" went on to become the first contemporary Christian recording ever to cross over to the pop charts and become a top forty hit. In 1985 Benny recorded "Benny From Here". It was this album that produced one of the top ten singles in the history of Christian music, "When God Ran". This song made an immediate impact on radio and quickly became a number one hit. "When God Ran" went on to become the longest running number one song of all time. Simultaneously, Benny's "Secret Thoughts" was number one on the Christian rock charts, making Benny the only CCM artist to sweep the AC, CHR, and Rock music charts with number one hits at the same time. Benny has performed over 2,000 live concerts, recorded four top ten albums, and had ten number one singles. Benny has worked with: Michael Omatian, John "JR Robinson, Neil Stubenhaus, Jeff Porcaro, Ron Tutt, James Burton, Abraham Laboriel, Jim Horn, Maty Walsh, Brent Maher, Bobby LaKind, John Guess, Carlos Vega, Aaron Zigman, Tim Heinz, Smitty Price, Tommy Funderburk, Jerry Scheff, Glen Hardin, Joe Osborn, Larry Mahoberac, Dann Huff, Randy Kerber, Alan Pasqua, James Raymond, Dan Posthuma, Maxine & Julia Waters. In 1992 Benny, as Executive Producer and President of his own music and television production company - Rebel Entertainment, along with his two partners produced the MTV Networks/Nickelodeon hit show Roundhouse. The show ran for four years earning Benny nine Cable Ace Award nominations from 1993 to 1996 - three as Executive Producer for best "Variety Special or Series" and six for best "Original Song". Benny won the Cable Ace Award for best "Original Song" with "I Can Dream" in 1993. The above Benny Hester bio was provided by Rebel Entertainment. Benny is the recipient of both Grammy and Dove awards for his work as a Christian recording artist. He is a singer, producer and a song writer. With his production company, "Benny Hester Music," he worked with MTV to write most of and produce all of the songs for Rebel Entertainment's TV series, Roundhouse, which he co-created. Benny is a co-founder of Rebel Entertainment and is responsible for top Christian recording artist, Crystal Lewis' work on the show, as well as the band's. The song "Can't Let Go" that Benny contributed to for Roundhouse, won a Youth excellence award, for best original song. Benny still makes concert appearances here and there, usually with the Christian band, Shaded Red. Benny is currently producing and supporting the multitalented brothers who make up the rock band, Indio. Indio can be heard playing on various nights at clubs along Los Angeles' famous Sunset Strip. Benny met Indio when they arranged and performed a cover version of Benny's mega hit, "When God Ran." Birthday: May 3rd. Benny is currently married to Rita Sheffield, another Rebel Entertainment founder. He has a son, Eric, from another marriage. Eric is also a song writer for Roundhouse. Buddy is a co-founder of Rebel Entertainment along with his ex-wife Rita Sheffield and her husband Benny Hester. Buddy wrote the pilot for Fox's In Living Color and served as the show's head writer for years. Near the end of the series he worked as the writing supervisor. He, Rita, and Benny went on to create Roundhouse, which premiered in 1992 after seven years of planning. Buddy was considered the comedy man of the team, but he also wrote many songs for the show. He was head writer for the first three seasons and was co-executive producer for it's entire run. For the fourth season he was the writing supervisor. Buddy plans to continue to create other shows with the wonderful talent and musical variety that Roundhouse has. Buddy and Rita have also produced children's live theater in the Southeast US. A song that Buddy and Benny Hester wrote for Roundhouse ("I Can Dream") won a Cable Ace Award. Buddy recently wrote two screenplays (one with Erin Ehrlich, Amy's sister) tentatively titled, Ticket to Ride and Seatfiller. Buddy and Rita have a daughter, Heather Sheffield. She was also a staff writer for Roundhouse. Buddy recently remarried. Rita is co-founder of Rebel Entertainment, with her husband Benny Hester and her ex-husband Buddy Sheffield. She and Buddy have produced live children's theater tours in the Southeast US. Some of the tours Rita directed were called, "Beans," "Purr Zazz," and "Bananas." "Bananas" was even performed at the Kennedy Center in Washington, D.C. She also directed a short lived Broadway show called "Cleavage." Rita, Benny and Buddy created Roundhouse which they produced, and planned for seven years prior to its airing. Rita directed 25 episodes and was responsible for assigning parts and characters to cast members for all 52 episodes. She was also co-executive producer for Roundhouse's entire run. Rita is also personally responsible for "discovering" most of the cast! Rita has done the art/title design and concept for many Benny Hester albums, and was accredited with designing the visual style of Roundhouse in conception. Rita was interviewed on Entertainment Tonight during Roundhouse's first season. She and Buddy have a daughter, Heather Sheffield. Her favorite children's song is, "Climbing Jacob's Ladder." Barry is a very well respected dancer and choreographer. He's worked with and done videos for; Michael Jackson, George Michael, Sting, Debbie Gibson, Prince, Paula Abdul, Jody Watley, Sheryl Crow, Bryan Adams, and others. He was a dancer in Disney's "Captain Eo" with Michael Jackson, he was in many of Janet Jackson's videos including "Nasty Boys" (choreographed by Paula Abdul) and "When I Think of You," he was in Debbie Gibson's video "Electric Youth" and also danced in and choreographed for the world tour. He was in Prince's "Batdance," and he's staged and choreographed world tours for George Michael and Jody Watley. He's also done videos: "It's Real" for James Ingram and "Secret Rendezvous" for Karyn White. Barry choreographed "Pleasure Principal" for Janet Jackson, in which she had to dance alone throughout the video. Barry discusses this in a 1991 PBS special titled, "Everybody Dance Now." His work in "Pleasure Principal" won him an MTV Award. Other choreography work: four Smothers Brothers television specials, theme parks, and many commercials including an old style beer commercial. He recently choreographed stage shows "House of Groove" and "Retro-ACTIVE" for Paramount Parks and Royal Caribbean Cruise Line. He's choreographed for Kristi Yamaguchi, Katerina Witt, Brian Boitano and for many other ice skating events. And of course Barry was the resident choreographer for Nickelodeon's Roundhouse. He is currently a hip-hop/jazz instructor with Tremaine Conventions, and he travels with the company to some cities. Barry is the recipient of two Billboard Awards for choreography, one of them for Sting's video "We'll be Together." Barry is also the recipient of the 2001 American Choreography Award for Outstanding Achievement in Television for a Variety or Special, for choreographing the Miss America Pageant. Barry choreographed the films: Super Mario Bros., National Lampoon's Vegas Vacation, Blues Brothers 2000, Unconditional Love, the TV series Nikki, and the upcoming films, Death to Smoochy, and Who Shot Victor Fox. He is of the choreography team that worked on the unaired Michael Jackson HBO special. (Includes HBO interviews.) Barry helped Jamie King choreograph the 1996 Academy Awards and was featured on Entertainment Tonight in the process. He and Ivan also choreographed an event to honor Joe Tremaine put up by the Professional Dancer's Society. Barry choreographed the upcoming short film for Michael Jackson titled Ghosts! Also look out for Barry's video series called Funk & Groove with Barry Lather (3 volumes so far) which James Raymond wrote the music for. He is married to Cari French, one of the original Fly Girls on In Living Color. c/o Tremaine Dance Conventions, Inc.